Twenty years had passed since the last time I visited Vermont for a skiing holiday and I decided it was time to go back, but this time during the summer. My family and I stayed at Stowe Mountain Lodge for this trip. 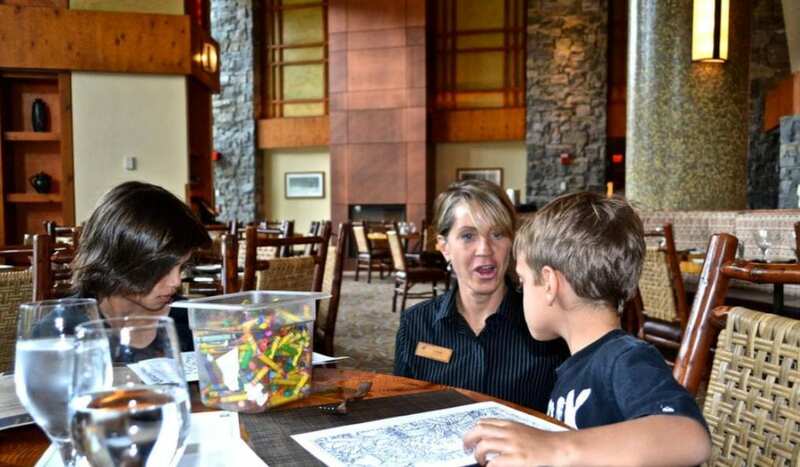 We all had a great time with all of the summer activities that they offer and had an amazing, family friendly, fine dining experience at their five star restaurant. Back when I was in college, around 20 years ago, Vermont was my favorite place for skiing. Since I discovered the warmth of the tropics I haven’t thought of going back to put on some skis and stand in the cold for hours. However my boys are constantly asking for a trip that involves snow and all of the fun activities that come with it. I think that is going to have to wait because for now I was willing to go back to Vermont, but during the summer months. The thing about Vermont is that I didn’t remember hearing about summer activities. But that totally changed as I did my research. While looking at places to stay in Stowe (about one hour from Burlington) I found one that actually has all the activities you can imagine – Stowe Mountain Lodge. My family and I were delayed so we couldn’t get to the resort until the evening so we weren’t able to explore the surroundings until the next morning. It was great to see the look on my husband’s and kids’ faces when they finally got to see the surroundings from the balcony. Side Note: We were lucky to enjoy my brother’s company for this trip, he has also been here before so we enjoyed the rest of the crew’s awe. Most of the rooms at the lodge are in the main building. They offer from single rooms to three bedroom suites.We had a one bedroom suite with a stunning view from the balcony.There was also a full kitchen that even got my husband (who never cooks) to prepare breakfast for us.In the master bedroom we had a king size bed and a TV. There was also a pull out couch in the living room great if you need some extra sleeping space. It even included a washer and a dryer. What I love about summer is that activities are much more varied than during the winter. • Pool Time – They have an enormous heated pool where my boys spent hours. I was told that it can be used even during the winter months because the heating is always on. • Spa and Wellness Center – Not only is the SPA one of the largest I have visited, with tons of treatments, but it even has packages special for kids. • Hiking – The hotel sits between Spruce Mountain and Mount Mansfield (tallest peak in Vermont), so hiking is one of the priorities of things to do while staying at Stowe. We did the Spruce Loop Trail with a guide. • Mercedes Benz Treat – Andre, our hiking guide, shared a little secret with us. He told us that the lodge has a deal with Mercedes because of that they own the whole fleet and guests are allowed to take them out for FREE. • Golf – There is one at the mountain club, within the property and another one at the Country Club. 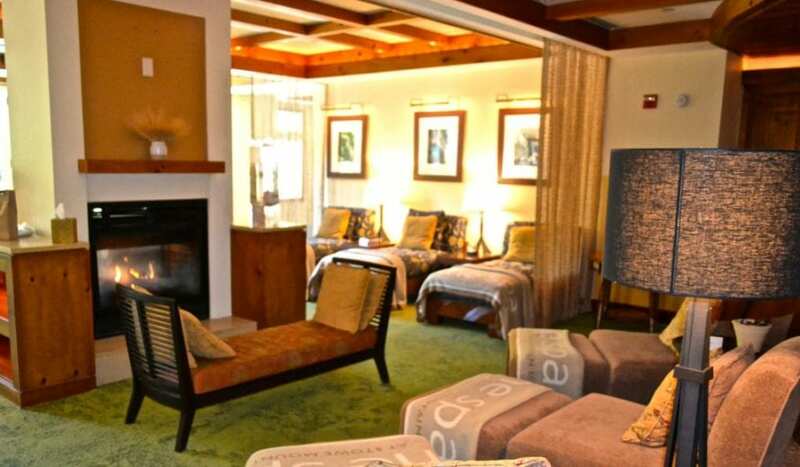 • Stowe Country Club – Anyone can visit it and it is located only a few minutes from the resort. • Skiing and Mountain Biking – During the summer the trails turn into mountain bike trails. • Historic Toll Road – The Toll Road is only open during the summer and fall months. It takes you to the peak of Mt. Mansfield from where you are able to see the entire Green Mountain Region and Lake Champlain. This is one of their most breathtaking tours. Entrance info – You have to pay to go up the road but if you tell them that you are at the hotel you get a 20% discount. The main restaurant, Solstice, is a five star dining experience. It is a rare thing when my kids join us to a fine dining establishment, but I can really call it a fine dining experience when on top of luxurious Solstice is also totally kid friendly.The restaurant uses ingredients from the best of Vermont’s farms.There is a unique menu and a separate one for kids. Before I let you know all about our delicious dinner I have to mention our waitress, Linda. She was one of the best servers we’ve ever had, knowledgeable about the menu, the ingredients and even the cooking techniques. However her best quality was the joy she showed. We could definitely tell how much fun she was having. • Braised Pork Belly Romaine – These are a staple in Central America. But chicharrones are soooo fried that the grease oozes out of them and almost makes you sick. So seeing them on the menu of a gourmet restaurant made me curious about what they would be like. I had a nice surprise! • Kale & Black Quinoa Salad – I love tasting different salads that are local to the area. • Cheese Platter – this was almost a must for several reasons. First my husband gets this wherever we go and second Vermont is the land of cheese. • Oven Roasted Rack of Lamb – This is one of my brother’s favorites. • Grilled Tofu – It was fun to relive my vegetarian days with this dish. 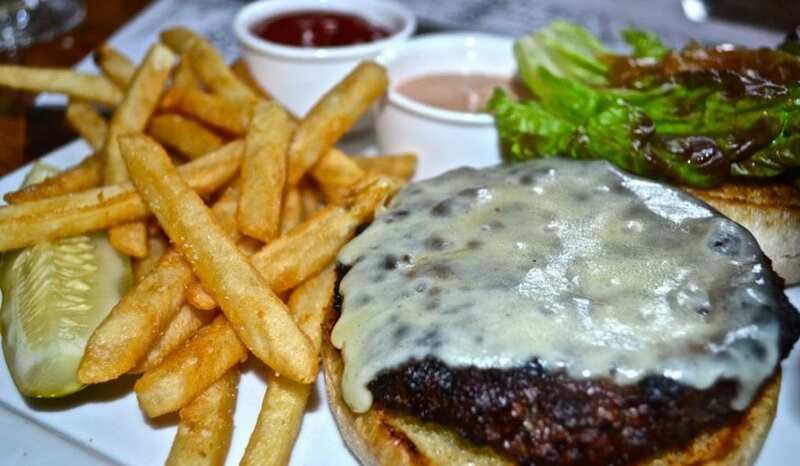 • Stowe Mountain Lodge Burger – My oldest boy ordered this one. He loved it so much that I had to try it and it is one of the best hamburgers we’ve ever had. • Roasted Misty Knoll Half Chicken – The best for last! This was without a doubt the best chicken we had ever had. Their secret trick is that they marinade it, put creamy butter under the skin and then a brick (literally a brick) while baking it in the oven. • Kid’s Cheese Pizza – This pizza won the prize for my baby (and me). We had to end this spectacular meal with sweet goodness. My boys ordered ice cream while I had strawberry cheesecake. Recommendation – If you plan to eat at this restaurant during the summer and winter make reservations. Those are peak seasons and it gets full almost as soon as it opens at 5:30. There are over 300 rooms to choose from at the resort and ALL of them have views of the mountains and pool. So you really can’t go wrong.